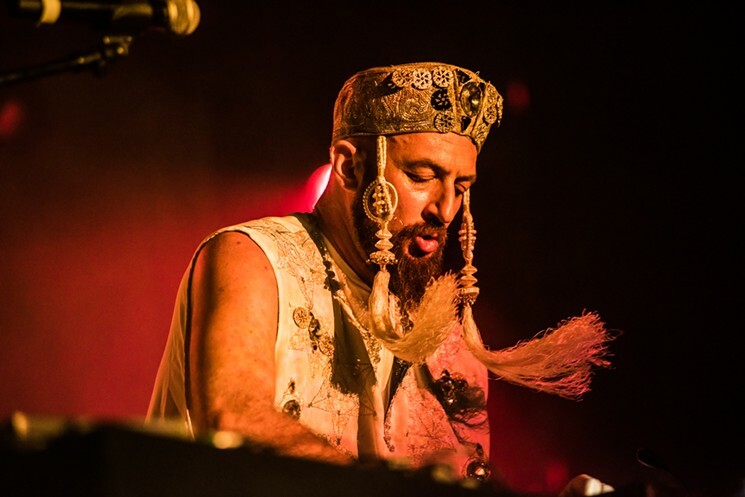 Throughout the 2000s, Damian Lazarus was at the forefront of the U.K. dance music scene. His style as a DJ mirrors his true nature of talent scout and discoverer of new sounds and aesthetics. At the beginning of his career, he was indeed head of A&R for the City Rockers label and was behind the U.K. release of such notable singles as Felix da Housecat and Miss Kittin’s “Silver Screen Shower Scene” and Tiga & Zyntherius’ “Sunglasses at Night.” He selected and mixed both volumes of the label’s Futurism compilations (issued in 2002), which still represent the purest reference for the era’s electro-indebted house and techno. Known for his eclectic and varied sets, which incorporate old-school techno, house, dubstep, classic soul and rockabilly, Damian Lazarus has been playing all around the globe while being for almost ten years one of the resident DJ at the legendary Dc-10 in Ibiza.